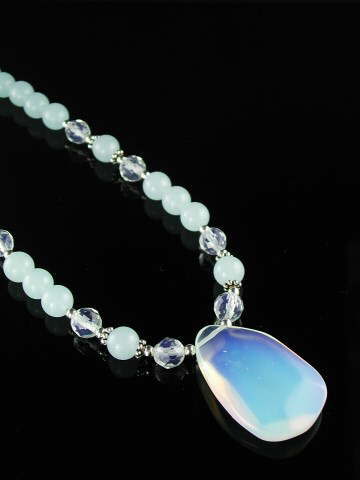 Although man-made, Opalite really does have the opalescent quality of its namesake, Opal. Beautiful depth of colour changing from white to blue to pale orange depending on the light. This necklace is set with pale aqua glass and Clear Quartz beads with a large freeform Opalite drop. Also known as 'Sea Opal'.